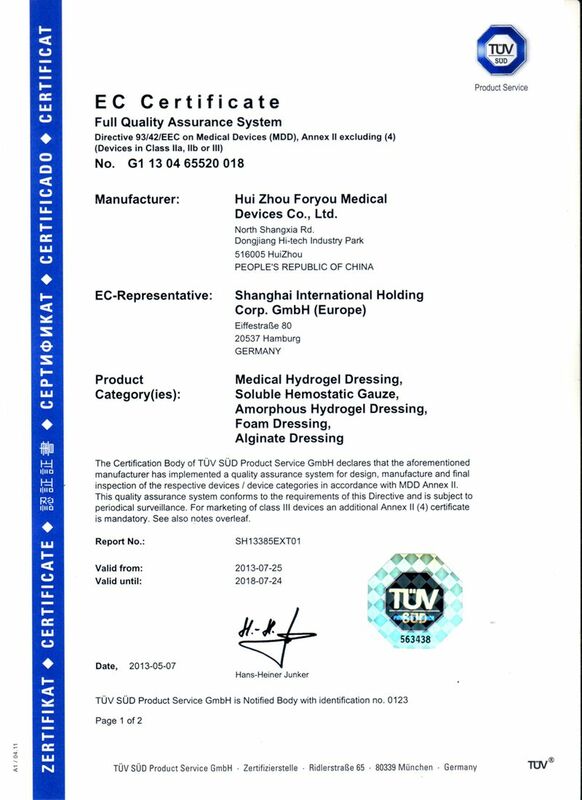 Company Overview - Huizhou Foryou Medical Devices Co., Ltd.
5YRSHuizhou Foryou Medical Devices Co., Ltd. Since establishment in 2005, Huizhou Foryou Medical Devices Co., Ltd. continuously devotes itself to R&D, manufacture and marketing of medical devices. We're the first and solo FDA 510K receiver of Antibacterial Silver Foam and Alginate Dressing. In 2010, Foryou Medical moves into the new industrial park furnished with1, 500 Sq. M. 100, 000 class cleansing workshop, 800 Sq. M. 10, 000 class cleansing workshop, 9 professional labs, 4 professional analysis rooms & a professional R&D team with more than 40 engineers. We aim at being the leading company in the Healthcare sector, driven by a strong ambition and entrepreneurial spirit, whilst remaining focused on healthcare, provide the best quality and most competitive price in China to our partners.